Winterbrook Estate Agents - News- Lesters Keep Chris Moving!! Local Estate Agent Lester’s have sponsored Chris Allum of Cholsey in his quest to run the 2012 London Marathon to raise funds for the charity AMMF; they are the only registered charity which raises funds for research into cholangiocarcinoma cancer of which his father dad died of last year 2011. Chris passed on his gratitude to Lester’s quoting `I would like to say a massive thank you to Lester’s Estate Agents and James Gesner in particular for their support to my Marathon challenge. 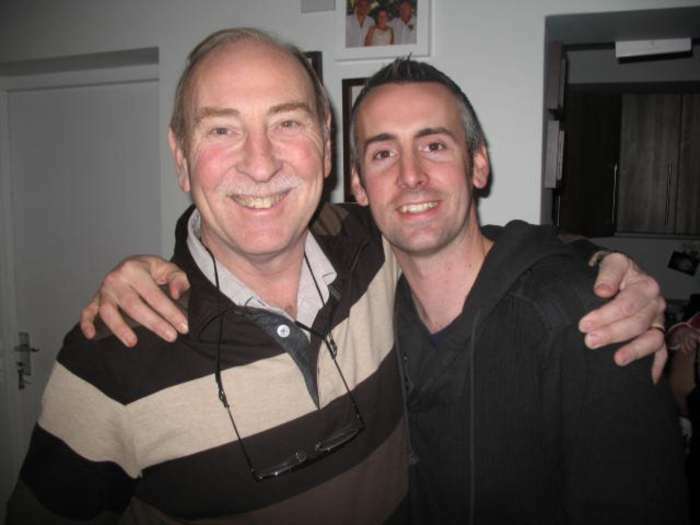 Chris also commented; On the 22nd April 2012, I have been lucky enough to gain a place in the London Marathon and I will be running in honour of my dad, Charlie who passed away on the 12th June 2011. Running the London Marathon has been a lifetime ambition for me and since my dad was diagnosed with cholangiocarcinoma cancer in November 2009; my will to enter grew considerably in order to raise money for AMMF and awareness of cholangiocarcinoma cancer which forms in the bile duct. My families chosen charity AMMF, who specialise in the research into cholangiocarcinoma cancer and it is mine and my family’s goal to raise as much money as possible for this small charity. We lost dad at a young 55 years of age and if I can help just one family from not having to go through the pain that my family is going through by raising money for this charity then it will have been worth it. Cholangiocarcinoma cancer know as CC is a very rare type of cancer but takes more lives each year than the more well known cervical cancer. Chris is hoping to raise a minimum of £2,000 for his charity so if you can spare anything however little please do so at www.justgiving.com/Chris-Allum.